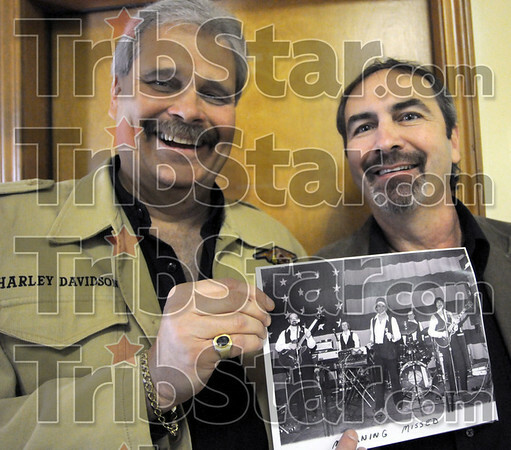 Hall of Fame: Brad Anderson and Randy Rockwell hold a photograph dated about 1976 when the two played in a band called Mourning Missed. They were both inducted into the Wabash Valley Musician's Hall of Fame Sunday afternoon. Anderson was the lead singer of the group and Rockwell is at far right in the photo playing lead guitar.